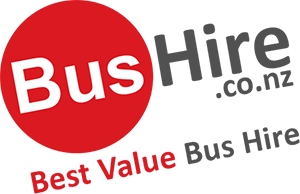 BusHire.co.nz offers affordable coach and bus hire in Tauranga for your group. Safe and reliable drivers with local knowledge ensure passengers arrive safely and promptly every time removing any stress of self-navigation, traffic issues or vehicle reliability. Planning a holiday or day tour to Tauranga, contact BusHire.co.nz for cost effective Bus Hire or Mini Bus Charter. Families, schools and sporting groups can take advantage of the low prices and the knowledge of local drivers. Attend The National Jazz Festival that takes place in Tauranga every Easter, with dozens of live acts, excellent wine and food, or spend your New Year celebrations at the Mount in Mount Maunganui, which is one of Tauranga’s main events, visited by people from all around the country. See the otherworldly landscapes and Pohutu Geysers that makes up the Rotorua, or feast in kiwifruit products like wine, get a traditional welcome at an authentic Maori village where you also get to see a haka and much more. Tauranga is also the home of Hobitton, where you get to see the sets and the Shire – a trip from present into Middle-earth and the The Shire from The Lords of the Rings.